I was on the train to work this morning when I read of Lou Reed’s passing. I had stayed up late the night before: re-reading Venkatesh Rao’s Gervais Principle series, and playing Husker Du’s album The Living End (1994). Re-reading Rao, I condensed my on-going research down to one core Need: time to write. Tiredly, I checked my email, and scrolled my Facebook feed. Friends were posting Reed’s lyrics and photos. 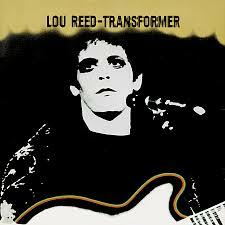 Others will have more memorable Lou Reed anecdotes than me. I first heard his music around 1983 interspersed between the Australian bands AC/DC, INXS, and Midnight Oil. The Velvet Underground reformed whilst I saw Andy Warhol’s underground films in college. I never saw Reed live. Instead, I saw him via his allies: playing on cable TV for David Bowie’s 50th birthday special, or as an on-screen sample when U2 played ‘Satellite of Love’ during their 1991-93 ZooTV tour. First, the aesthetic and cultural forces that informed the mid-20th century were vast. If you situate The Velvet Underground as an epochal band — or at least synonymous with an era of hedonistic Self-exploration — then you have a larger viewpoint to Understand the drive for artistic creativity. Reed’s collaborations with John Cale, Nico, and Andy Warhol are instructive. Second, Reed had initiatory allies — his muse Laurie Anderson, David Bowie, Bono, and others. We also see this with other artists and creative spirits: Aleister Crowley and his followers; H.P. Lovecraft and his Arkham House publisher August Derleth; or the painter Salvador Dali. Having initiatory allies can mean that our Work continues after our death, and that our legacy is preserved, rather than being scattered. Third, Reed’s music is generative in a deeply cultural sense. The New Yorker‘s Sasha Frere-Jones notes that Reed’s music inspired many other musicians, artists, writers, and even life-changing decisions. This what the Egyptians call Heka (or magic) at its most pure: Reed was Sending his future Selves with each new song to Change the objective universe. This has led to all sorts of collaborations, influences, and interactions — ‘shaping’ effects or ‘causative willed change’ — which Reed could not have foreseen. It increased the amount of Unknown (Runa) and personal destiny (Wyrd) in the objective universe. This is where aesthetics can be more constructive to study than occulture. Fourth, Reed’s passing is a reminder about death as Shock. We only have a certain time to do initiatory self-work: the Buddhist insight of impermanence. Our death will be an opportunity for initiatory allies and others to see our lives as a manifestation. 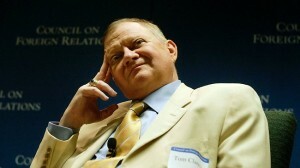 Already, many bloggers, journalists and musicians have penned remembrances for Reed, citing his impact on their lives. Perhaps you will have your own, similar artistic and creative impact on others’ lives. On Tuesday, I’m giving a PhD presentation at the annual SPS Symposium held at Monash University. This year, I’m focusing on Australian strategic culture, and the recent debates about Australian defence and national security policy. Some of this material is in an article co-written with Ben Eltham that is currently under review with the journal Contemporary Security Policy. But there is obviously something much deeper at work. It is the alienation from oneself that is experienced by those who are forced to describe their activities in misleading terms. The managers, by contrast, do not feel this, and for good reason. The terms that suit their activities are the terms that have triumphed: scholars now spend a considerable, and increasing, part of their working day accounting for their activities in the managers’ terms. The true use-value of scholarly labour can seem to have been squeezed out; only the exchange-value of the commodities produced, as measured by the metrics, remains. My personal experience is that research metrics can be useful as one input into performance related discussions. However, research metrics often do not capture the developmental aspects of doing research, or intangibles such as doing blind peer review for journals, or learning from exemplars. These would require a more Balanced Scorecard-like approach to research metrics. After securing their own status, such people develop a thirst for the ability to up- and downregulate the status of everyone else because, in human affairs, that’s what power, fundamentally, is. I see this a lot. Church’s blog post on the racist judges problem — how the “biases of the few influence the many” — also applies to the observable gap between the ideals or stretch goals of a decision elite’s strategic plan versus how it is implemented, and who it affects throughout the rest of the organisation. 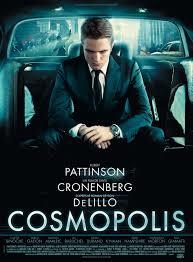 I finally finished DeLillo’s Cosmopolis last night. It has three problems: background research; the characters; and the final narrative arc (a weakness in Point Omega, too). I’ve not yet seen Cronenberg’s film. DeLillo had a potentially interesting story idea. Eric Packer’s rise-and-fall was very much like how Victor Niederhoffer ‘blew up‘. 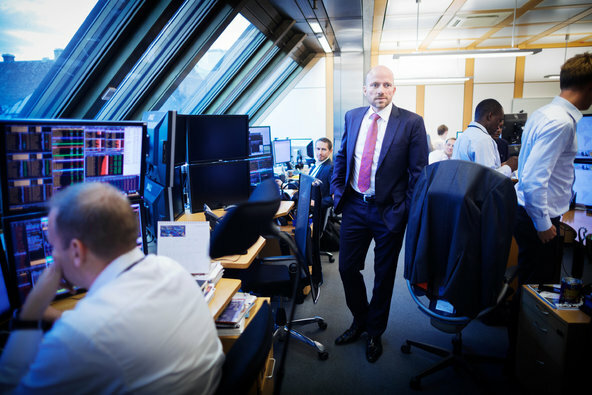 Packer like Niederhoffer is interested in how abstract systems can be used to chart financial markets using technical analysis. Apart from Niederhoffer the real life equivalent to this was probably Richard D. Wyckoff who had a model based on Pythagorean geometry. But DeLillo’s trader — like the defence intellectual in Point Omega — is a media stereotype. Real traders do use the Yen “carry trade” a lot and currency speculation is very popular in Japan — the Japanese magazines are more sophisticated than their US or Australian counterparts. But sophisticated traders wouldn’t necessarily make the money or risk management errors that Packer makes in the book that destroys his personal fortune (what about diversification, hedging market risks, and testing assumptions?). This makes the characters a little unbelievable — they are there as style and to personify the moral points that DeLillo wants to make (which resonate more after the 2008 global financial crisis). They don’t really develop emotionally despite what happens in the plot. The characters around Eric Packer are like little portraits or set pieces that are incidental. The final third of the book is a series of fairly disconnected scenes. The finale with the nemesis ex-employee had potential but seems half-realised. Looking forward to reading White Noise, Mao II, Libra and Underworld. This morning I read that Brazil’s Eike Batista has lost $US34.5 billion; and hedge fund manager Bill Ackman lost $US2 billion on his Herbalife and JC Penney trades. There’s also the FBI’s takedown of the alleged Dread Pirate Roberts and Silk Road black market. The DeLillo’s Cosmopolis still reads as a postmodernist idea of millionaire currency speculation rather than how good traders actually deal with market volatility. But maybe the Cosmopolis Effect — the fallout of self-destructive hubris, cognitive biases and decision heuristics — has crossed from DeLillo’s fiction into the financial elite. Risk on? I learned a couple of things from novelist Tom Clancy who passed away on 1st October 2013. He conducted in-depth research – open source intelligence – for his first novel The Hunt For Red October. When that novel became a breakout hit for its military publisher he followed up with a novel per year for the next several years. Clancy licensed his Jack Ryan novels for feature films and video games. He anticipated the post-September 11 cycle of counterterrorist chic in 24, Spooks, Sleeper Cell, Threat Matrix, and other television shows and films. His approach to writing was similar to K. Anders Ericsson’s views on deliberate practice. In the end Clancy became a national security brand and franchise of bestseller airport novels that reflected late Cold War, interregnum, and War on Terror geopolitics. I never did finish Clear and Present Danger . . .